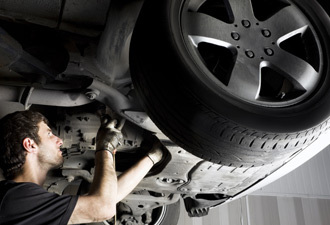 Keeping your vehicle running efficiently and reliably means making sure it gets the best service and care. The-CIA is an Authorized NAPA Repair Facility. All of our repairs includes a 24 month/24,000 mile nationwide warranty. Contact our Service Manager, Larry Grube- ASE Certified Master Technician, for an appointment.